If you are not sure how long you will need the ramp, start off by renting. 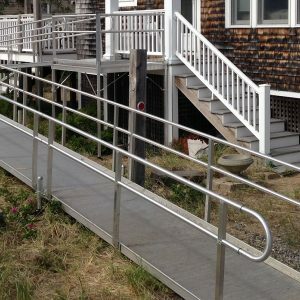 Renting a wheelchair ramp is an option that may best suit to meet your needs. A rental is recommended when the desired access is only required for a short duration, such as having a guest in your home, or a loved one with a temporary injury, or assistance in accessing parts of your home. One of our professional technicians will meet with you to determine the best solution for your need. Contact us today to schedule a visit to your home.